Macaroons always look very pretty, delicate and light, yet I rarely eat them because they do not have my favorite dessert ingredient, chocolate. I assume that many other people have snubbed a macaroon when deciding what treats to eat from a dessert table since the majority of us agree that chocolate is our favorite dessert flavor. 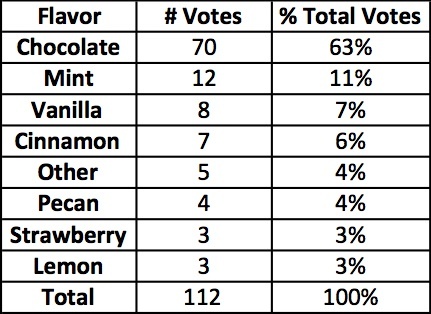 The most recent SensitiveEconomist poll shows that 63% of the 112 respondents would choose a chocolate dessert over any other flavor, with mint coming in a distant second place with 11% of the responses. These survey results mean that when given the choice between a light and flaky macaroon and a slice of chocolate cake, most of us turn to the delicious cocoa. Until now – where we can have both. Most of you will share in my excitement for Kay Stepkin’s recipe for chocolate macaroons that I read in my newspaper a few weeks ago. What a great way to combine a light and delicate treat with my favorite dessert flavor, chocolate. Plus, this recipe is free of gluten, cane sugar and dairy – and it’s vegan! This is a delicious treat for so many people. I made the dessert for a dinner party and they were an absolute hit! I will definitely be making these again right through the summer. Speaking of summer, what is your favorite summertime food? Please share your opinion with a simple poll right on my home page. Just click your answer and then click “vote” and you will see the up-to-the minute results. The food with the most responses will probably find itself highlighted as a main ingredient sometime soon on this blog. Thanks for participating! 1. Heat oven to 325 degrees. Pour coconut oil, maple syrup, almond extract, coconut, cocoa powder, almond meal and salt into a bowl; stir until well combined. 2. 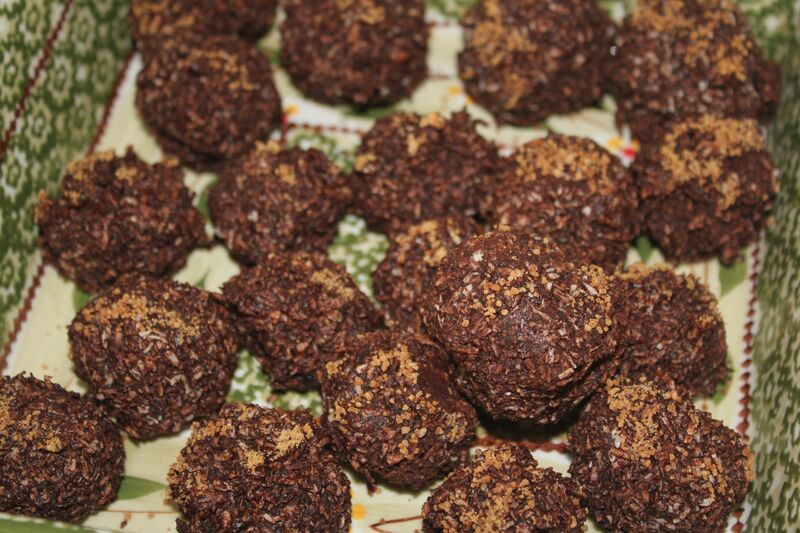 Using a large tablespoon of dough per cookie, shape into mounds, packing mixture firmly. Distribute cookies onto a parchment-covered baking sheet. Do not press down. 3. Bake for 15 minutes. When cool, dust with a little coconut sugar. (1) For the almond meal, you can substitute with almonds ground up in a food processor. (2) If you would like this recipe to be nut free, substitute the almond extract with vanilla extract, and replace the almond meal with brown rice flour. (3) Since the coconut oil will be solid in the jar to start, microwave until melted and then spoon out the liquid oil for the recipe. After the coconut oil cools it will return to its solid state. This entry was posted in Recipes - Dessert and tagged Cane sugar free, cocoa powder, coconut, Dairy free, dessert, Gluten free, Maple syrup, vegan, Yeast free. Bookmark the permalink. You won’t be disappointed, they are really delicious.